Broward Supervisor of Elections Brenda Snipes said she was not concerned. Elections workers had begun that process on 10 machines late Sunday morning, after technical glitches delayed the start for a few hours. 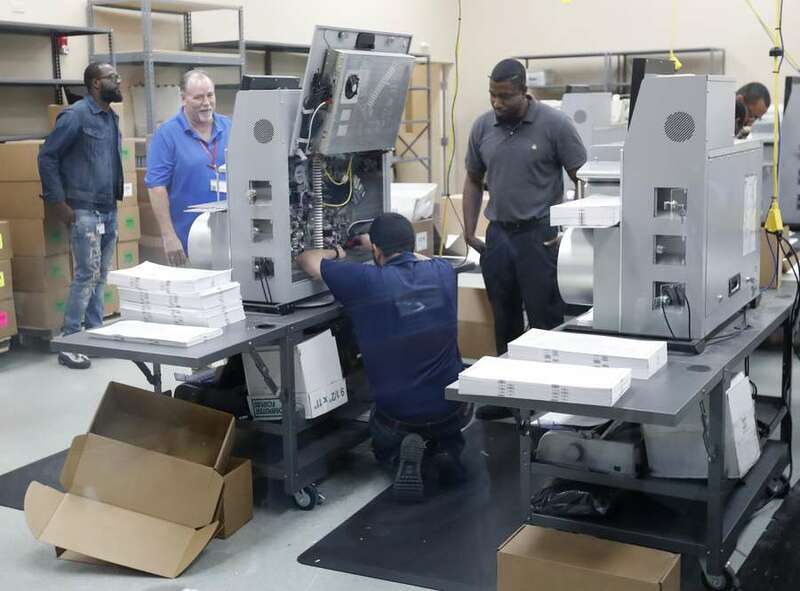 Two new machines were delivered to the supervisor's office on Monday morning, and workers were still separating ballots as of Monday afternoon. About 10 representatives from both parties are overseeing the recount, along with monitors from the state's Division of Elections. Pre-recount work will continue until Monday evening or Tuesday morning, said Deborah Carpenter-Toye, a member of the county canvassing board tasked with overseeing much of the work of Snipes' office following the election. "They will not be completed with separating [ballots] until late tonight or early tomorrow morning," said Carpenter-Toye, a circuit judge in Broward. The state's 67 elections departments have until Thursday at 3 p.m. to recount more than 8.2 million ballots cast in the election. At stake: the results in the races for governor, U.S. Senate and agriculture commissioner. Palm Beach County's supervisor of elections, Susan Bucher, has already said it would be "impossible" for her department to meet the deadline.